NEWARK, CA--(Marketwired - June 16, 2015) - Morpho (Safran), through its subsidiary Morpho Detection, today announced the Transportation Security Administration (TSA) has ordered 40 medium-speed CTX 9800 DSi™ explosives detection systems (EDS) valued at more than $40 million. 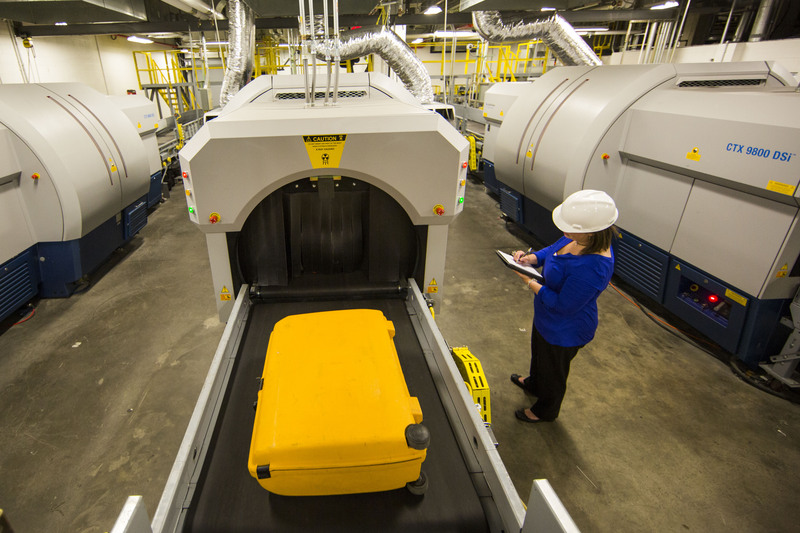 As part of the five-year indefinite delivery/indefinite quantity (IDIQ) contract announced in 2012, Morpho Detection will deploy all 40 units to screen checked baggage at 11 airports throughout the U.S. over the next year. These units bring the total number of Morpho CTX EDS supplied to TSA to more than 1,300. "As passenger traffic and security challenges continue to grow, Morpho Detection is thrilled TSA continues to deploy CTX EDS to screen checked baggage and help protect travelers," said Karen Bomba, president and CEO, Morpho Detection. "The results of more than 20 years of CTX innovation, CTX 9800 helps airports enhance operational efficiency by screening checked bags quickly and accurately in the most challenging airport environments." Morpho Detection's CTX 9800 utilizes advanced computed tomography (CT) technology to deliver high-resolution 3D images in medium- and high-speed configurations. The unique Clarity data acquisition system (DAS), found in CTX 9800, enables it to screen checked baggage at higher speeds while delivering high-resolution 3D images of each bag. The CTX 9800 is certified by the U.S. Transportation Security Administration (TSA), Civil Aviation Administration of China (CAAC) and approved by the European Civil Aviation Conference (ECAC) as meeting European Union Standard 3 requirements. Morpho's CTX family of EDS is the most widely used in the world, with nearly 2,000 units deployed worldwide. For more information on Morpho's detection products, visit http://www.morpho.com/detection. Morpho Detection, part of Morpho, Safran's security business, is a leading supplier of explosives and narcotics and CBRNE threat detection systems to government, military, air and ground transportation, first responder, critical infrastructure and other high-risk organizations. Morpho Detection integrates computed tomography, trace (ITMS™), mass spectrometry, X-ray and X-ray Diffraction technologies into solutions that can make security activities more accurate, productive and efficient. Morpho Detection's solutions are deployed to help protect people and property the world over.